I finally finished another pinterest inspired project. 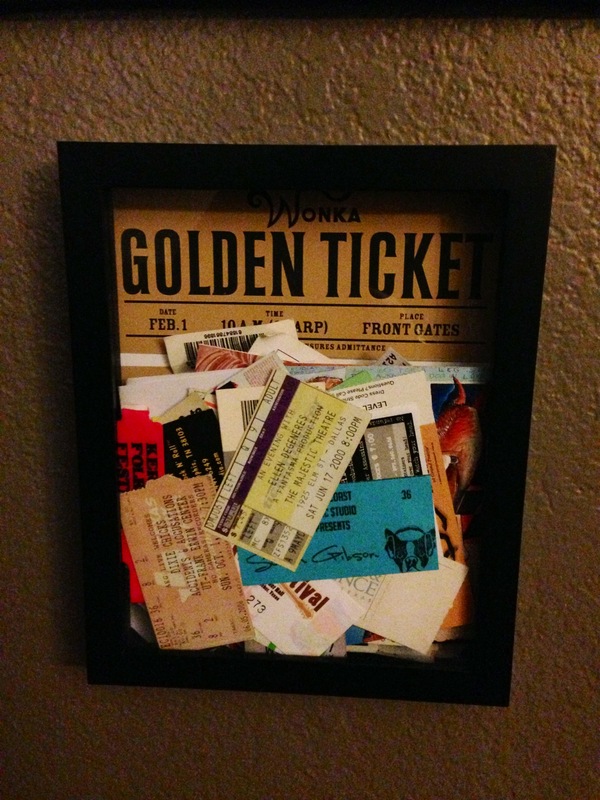 I have been saving all my old concert tickets since I was a kid. I saw an idea to frame them in a shadow box frame. It took longer because I just could not decide on a background. I searched through hundreds, maybe thousands of concert posters, tickets and favorite bands on Google Images but I just could not settle on anything. Tonight I saw a commercial for a Johnny Depp movie and a short brain train later I ended up on the Wonka Golden Ticket theme. Not too original but the theme, color and whimsy make for a good background image.